There is some additional information that companies need to create a reputation management culture. . It’s not enough just to try to fix things, but we want to be proactive inside your business to make sure that every single person in your company is on the same page. And they’re all motivated to do one thing, do a great job your customers, give them a first-class experience, and get a five-star review to keep that five-star reputation going. So you can see when you have a plan like this put together, you can be the leader in your market online! -Create a professionally designed review postcard. The cards are specifically designed and printed for your business with a QR code intended for customers with Android or Apple smart phones. -Create review business cards for staff to present to customers to actually give reviews. Having a business card tells customers where they can put reviews, how easily accessible it is to give review is vital for creating a 5 star review. -Create e-mail template. E-mails are a very easy way to get reviews, but you have to write them in a certain way using a template that motivates people to read it and to take action to respond to it. Now, one of the big insider strategies that we create for our customers is a private review page. See, what we want to do is we want to be able to have a one-stop shop for everyone to be able to post their reviews. So here’s the question. Would you rather someone post a review on Yelp that’s not so good or would you rather them put it in your own personal review area where that reviewed never see the light of day? Well, that’s what we do. We create a private review page so that all of the reviews are funneled into one area. And then when we receive them, we post them online and the only ones that we post are the really good ones. And the ones that aren’t so good, you get a private email making sure that you can address that before that customer actually goes and post a review online that isn’t going to really reflect a five-star reputation. Now, a posted review strategy is critical and here’s why? Even if you were to collect these reviews for yourself, well, businesses can’t post a review that actually comes from customers. And the reason is that all of these different review sites have created sophisticated filters that delete all reviews that are posted from the same computer IP network. So that means if you take a few reviews and have your staff post them, they instantly get filtered and even delete it. But what we’ve developed are proprietary systems and processes that can post reviews for a company without being filtered or defeated. So when you have a private review page to be able to collect all your reviews and be able to filter them as well, and then a proprietary system to post our reviews that’s a one-two knockout punch to be able to dominate your market online and really separate yourself from everyone else in the industry. So once we actually build a five-star reputation, how do we actually market it? Video Marketing-Video reviews convert 5X faster than text reviews and since Paramount Fine Foods has video’s that gives a brief story on what happens at each of the 4 stores, it will generate more traffic to your website. Website Marketing– Do you have reviews on the front page of your website right now? Well, as you can see that’s the most powerful thing that you could be doing. The latest review to your website can be posted almost in real time which gives the business nearly instant authority. Social Media Marketing-You know, I really talked about social media, social media, social media,(Facebook.com& Twitter.com) but no one really can convert social media into leads until now. Because when you’re using reputation marketing in your social media it’s incredibly powerful. E-Mail Marketing-When you combine e-mail it with reputation marketing a powerful system is created. So every time you send an offer, every time you tell them discount, whenever you actually send out newsletters or any type of email marketing you do, you must couple it with your five-star reputation. Maps Marketing– We actually look for businesses where someone types in a keyword they’re looking for you. Are you the one that’s up on the map, and more importantly, are you the one with the great reputation? Remember, they might find you and they might find your competition, but they’re looking for a company to do business with that has the best reputation. Sales Marketing– Companies that take advantage of this can literally double their sales closing. Just imagine the ability to sit in front of a customer that’s kind of on the fence of whether they should go with you or buy your product or services. And then you say don’t take my word for it. Let’s actually go online and see what other customers that were just like you and what they thought about working with us. And then you read all your five-star reviews in front of them. How Do You Manage Your Five Star Reputation? I will not go into detail in explaining how each of the 7 steps is used to manage your 5 star reputation. During the presentation on Thursday, you really understood the overall framework of this section and no further elaboration is necessary. Now lastly, manage your reputation by marketing only the five-star reviews. Now, this is really important because even an average review, even though it’s good, isn’t going to convert very well unless it has the right information, the right social and buying triggers inside of it. 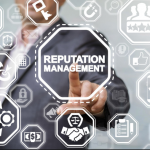 So we continually monitor for the right reviews to be able to post on your website and all over the web in order to market that reputation online. So it’s real important that you pick the best reviews because you don’t need a lot. Remember, 10, 12, 15 maximum to really be able to convert the people that show up at your website or to be able to convert others in different sales media, presentations and wherever you’re doing in your marketing. 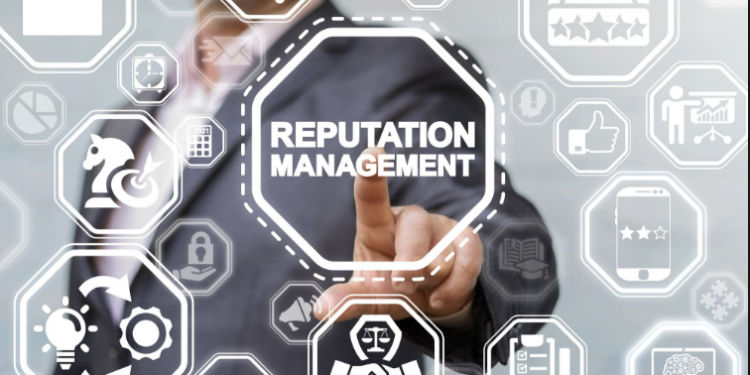 Now, one of the most important things you need to do with your reputation marketing strategy is create a reputation marketing culture inside your business. So here’s the question. You expect your staff to give first-class service to every single one of your customers, right? Well, what’s your plan to inspire your staff to give first-class service to those customers and get raving reviews? See, what we want to do is we want to actually build a reputation marketing culture so all of your staff are on the same page. So what’s the plan? The plan is to build a personalized reputation training center. And this is what we do for our customers. Page Marketing can provide for your business a personalized reputation training center for every single staff member that you have that they can go to and understand and learn what reputation marketing is. And more importantly, the way that they actually treat the customer today is the reason that we are going to get a new customer tomorrow. You’re business is always one customer away from getting a bad reputation online. Most importantly, if a part of your business has bad reviews, changing your operations to improve customer service and satisfaction WILL eliminate/reduce them!!! And your entire staff needs to know that, everything from the customer service person to the salesperson and everybody in between. So, we’ll make sure that your entire team understands by developing a personalized reputation training center for them. They will be able to login. They will be able to actually watch training videos on what reputation is all about. And then what we’re going to make sure that they’re really are on your page and making sure that they’re focused on giving first-class customer service, is we’re going to give them a quiz. They will be up to take the quiz and we’ll score them. Then we’re going to send those results directly to you so you can see what part of your staff really understands reputation marketing and making sure that, again, that the way they treat the customer today and how great of an experience they have, is the reason you’re going to get the next customer in the door. And then what we’re going to do is, we’re going to allow them to retake that quiz. Because we don’t really care how many they get wrong. We just want to make sure they’re getting the right answers and they get the concepts correctly. So we’re going to really partner with every single one of our customers to be able to do that. We want to really change your culture and make a difference. More importantly, we want to help companies that really provide great products and services in the market place build that five-star representation and be able to create a great reputation marketing strategy, because your reputation is everything. It’s the most important ingredient for converting leads and dominating your market and really getting that phone to ring with new business.